It is that time of year again when we bring the kitchen outdoors. NO matter if we are cooking for a crowd or just for our family of five the grill is used more than our oven this time of year. 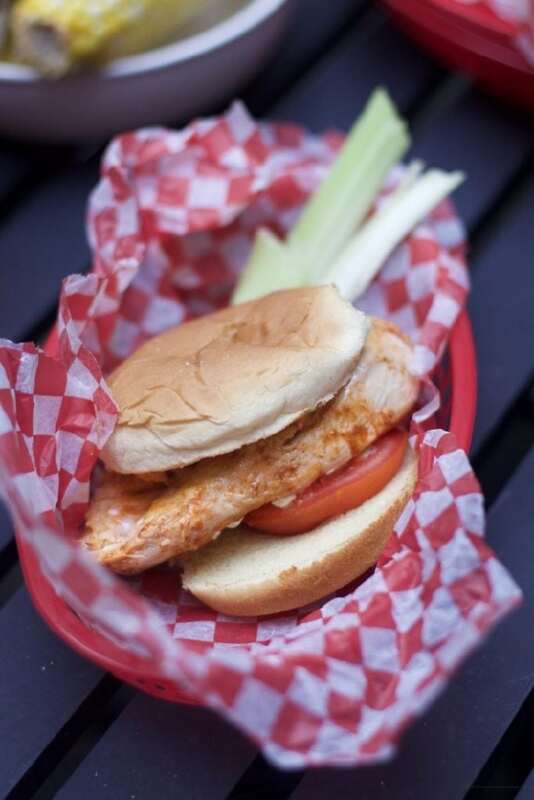 My family loves the flavor combination of Buffalo Chicken Wings, so why not make them in a grilled buffalo Chicken Sandwich that can be made for 5 or 20. 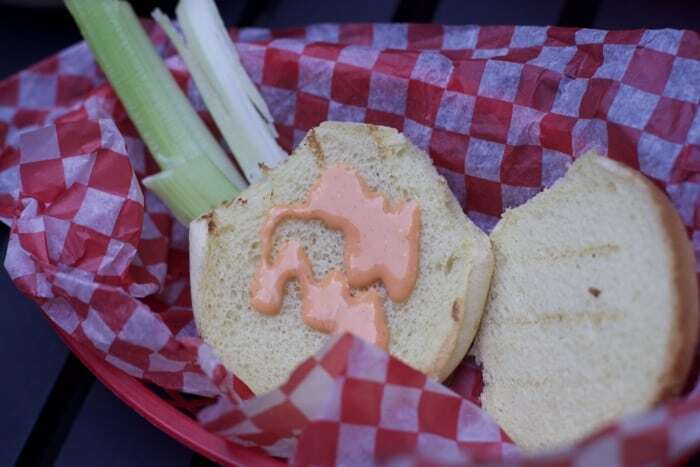 If you put out a display of condiments to build this sandwich your guests will be able to regulate just how spicy they want their sandwiches. 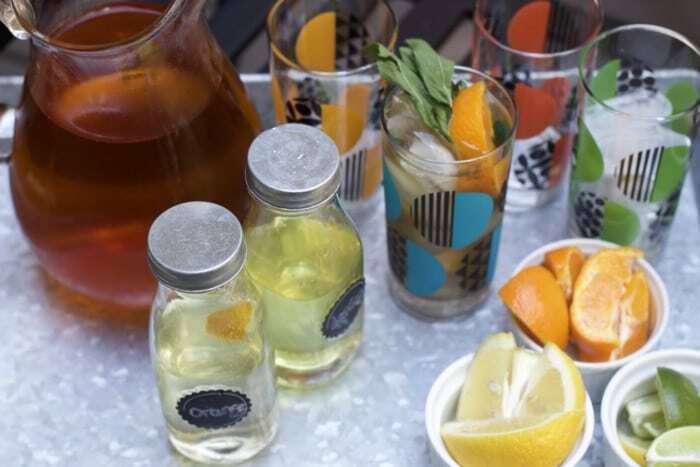 Before we get to the main course, we wanted to offer our guests an Iced Tea Bar. 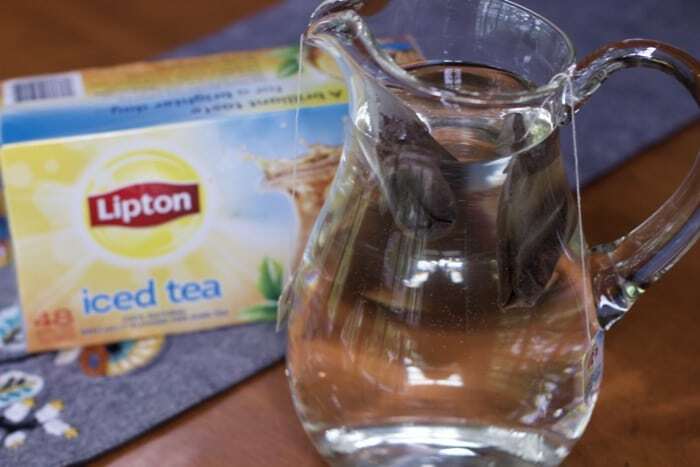 Iced Tea made with Lipton® Iced Tea Bags is ready in 5 minutes. The best part is that you don’t have to even boil water. Simply add 8 cups of cold water to a pitcher, along with two tea bags and allow it to seep for 5 minutes. 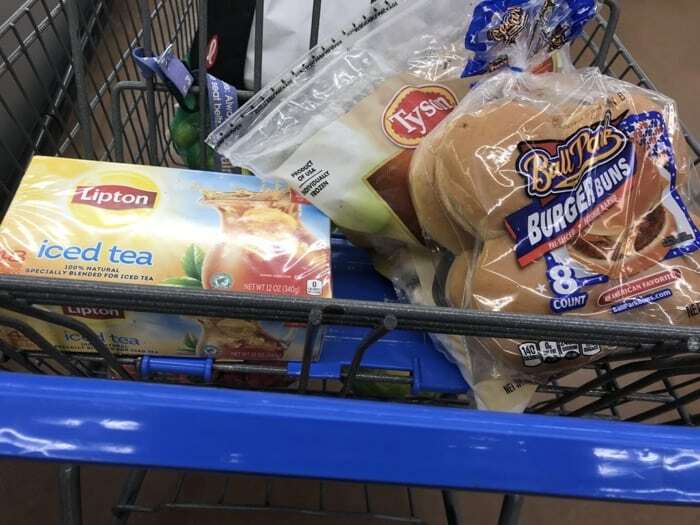 I prefer unsweetened tea, but here in the South, sweetened tea is a household staple. Instead of having a sugar bowl out, we decided to make a variety of simple syrups which don’t require dissolving in the cold drinks. 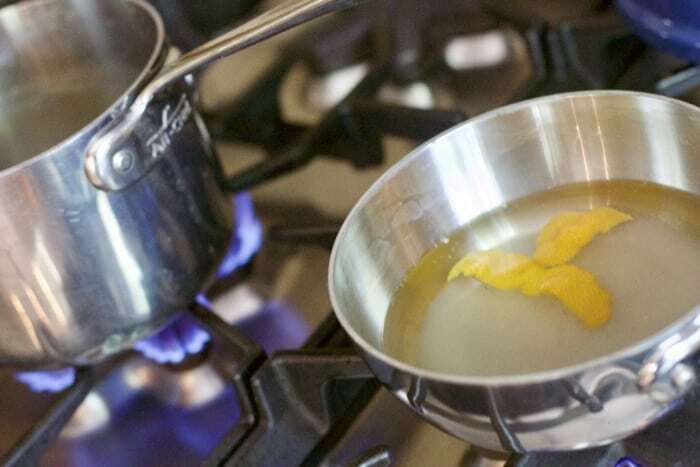 Simply add a few citrus rinds of choice, in your water/sugar mixture and heat until the sugar dissolves. This can be done in the 5 minutes while you are steeping the tea. It is best to have it cool before serving, so making these a day ahead would be ideal. 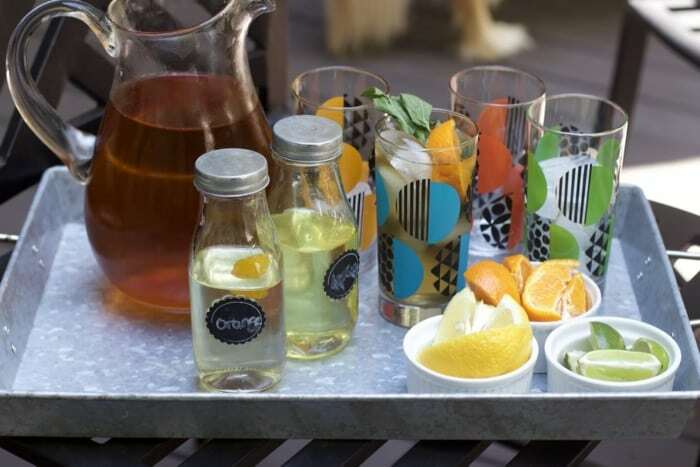 Set up your tea, syrups, citrus slices, ice, and glasses on a try and let your guests pour their own drinks. Earlier in the day, marinate your Tyson® Frozen Boneless Skinless Chicken Breasts with 6 oz of your favorite Buffalo Wing Sauce. With the other 6 oz of sauce, mix it with 1/4 cup blue cheese or ranch dressing and set aside. This will be the condiment for your sandwiches. Grill the chicken breasts and at the very end, you can sprinkle some blue cheese crumbles on top. Stack them on a platter along with a tray of toasted Ball Park® Burger Buns, tomatoes, extra blue cheese, wing/ dressing sauce lettuce if you like. Your guests can assemble their own sandwiches for a casual dining experience. 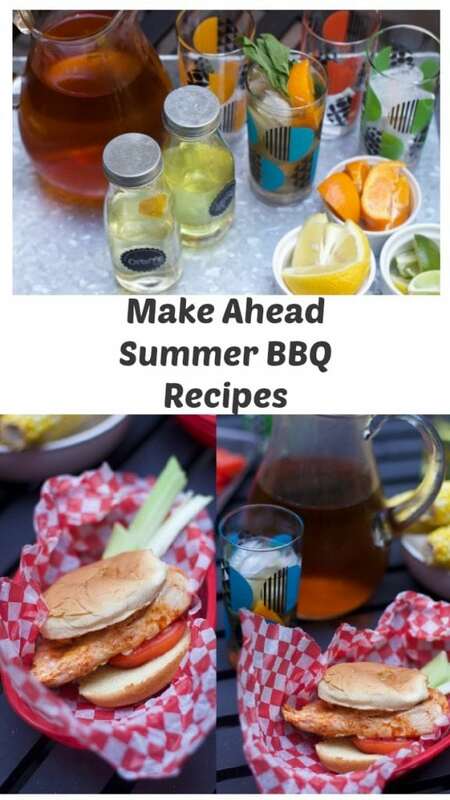 It is summertime, no need to host an extravagant barbeque. 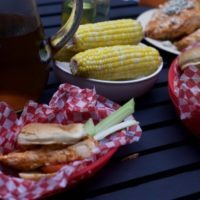 These were some super tasty sandwiches and be sure to serve up some cut up celery and carrots for a side dish for extra dipping. 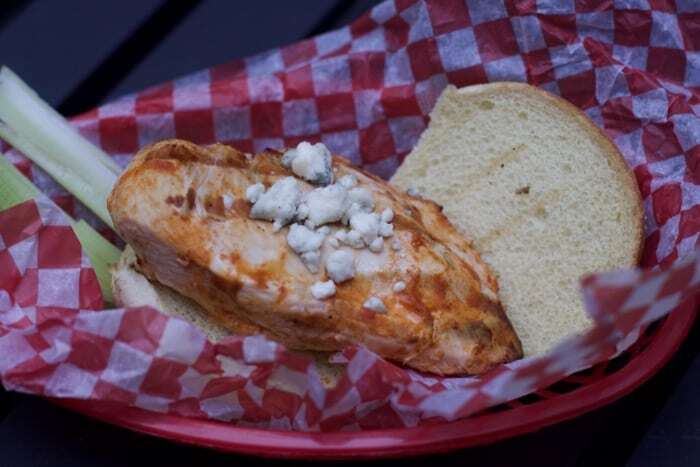 This grilled chicken buffalo chicken recipe proved to be both simple and inexpensive. Next time you entertain, head to Walmart for all your outdoor entertaining needs. 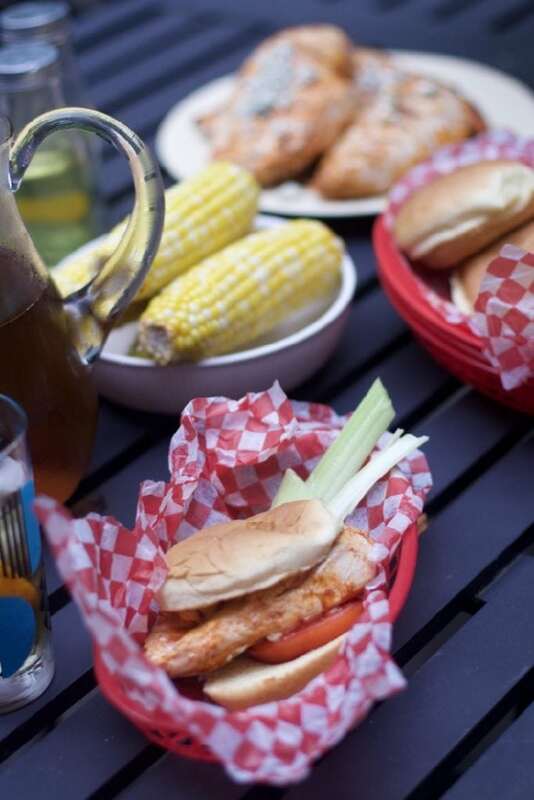 Make this Amazing Buffalo Chicken Sandwich for your family or next BBQ. The perfect dish for a family dinner or a summer BBQ. Double or even triple this recipe for a crowd. GRILL chicken 12 minutes, turning once, or until no longer pink in center. Grill hamburger buns until insides are slightly toasted. 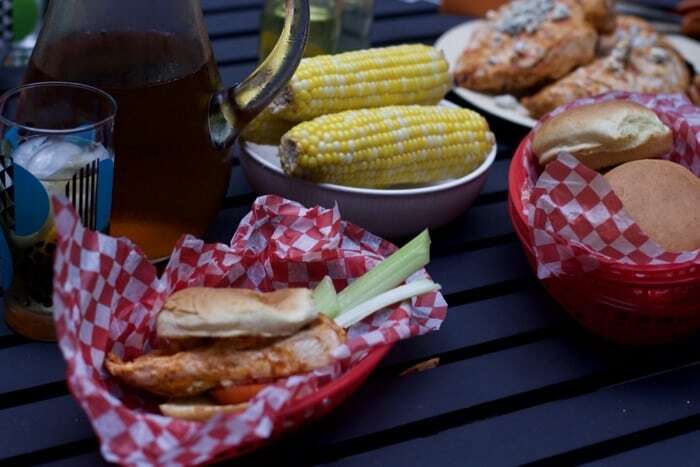 Pin this for the next time you want to host a summer BBQ.